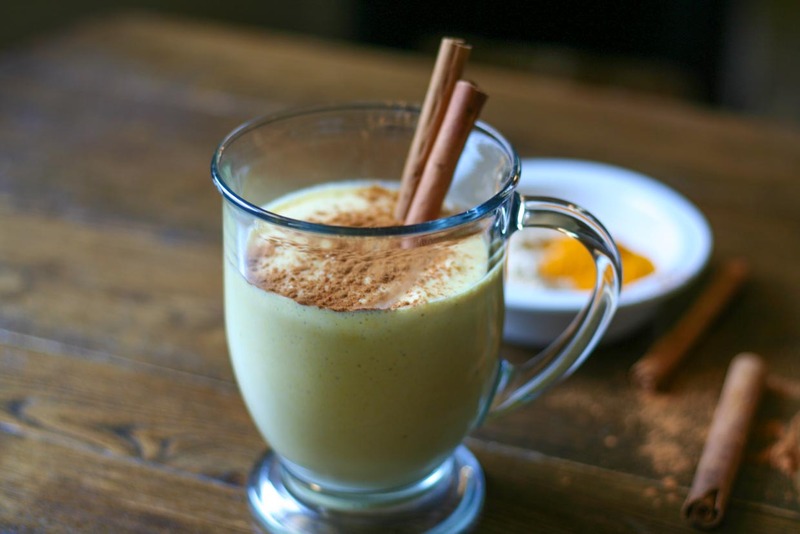 Golden milk, or so it’s called, is all the rage these days. 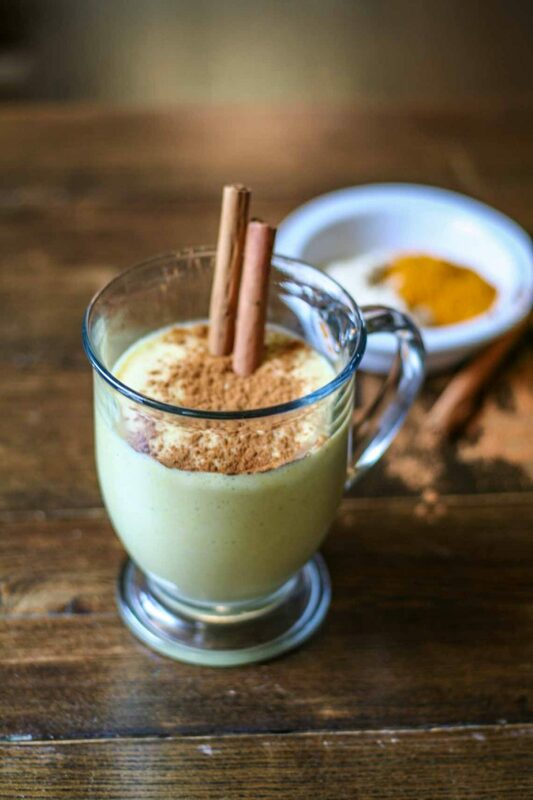 It’s basically a turmeric infused drink that seriously tastes like a milkshake, no joke! Turmeric is one of the hot superfoods on the scene these days, providing several health benefits. 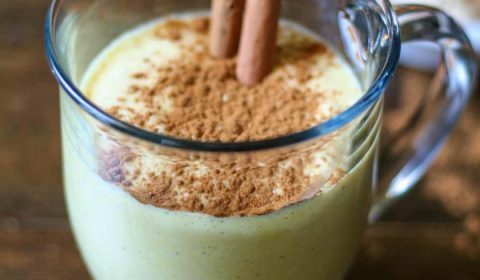 This smoothie also includes maca root powder, another superfood that is full of amazing health benefits. While Turmeric might be new on the scene these days, it’s actually been around for thousands of years. It’s most well known for it’s anti-inflammatory benefits, but recent research has shown that it can also benefit other health conditions such as Alzheimer’s disease and some cancers. The key is to combine the use of turmeric with black pepper, as the black pepper enhances the bioavailability of turmeric. Hence the use of black pepper in this smoothie. In this smoothie I also added the super food maca root powder. 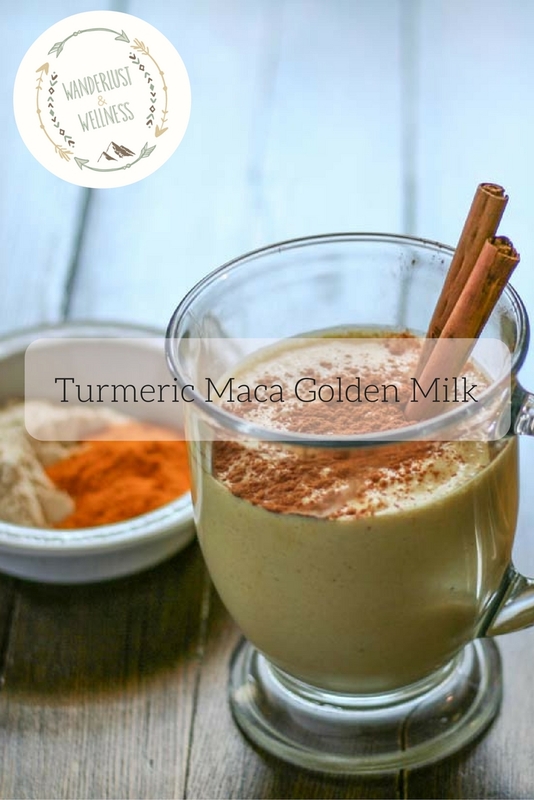 Maca is considered the ‘Peruvian ginseng’ and offers multiple health benefits such as being rich in Vitamins B, C, and E.
Add all ingredients with the exception of the cinnamon to a blender and blend well. 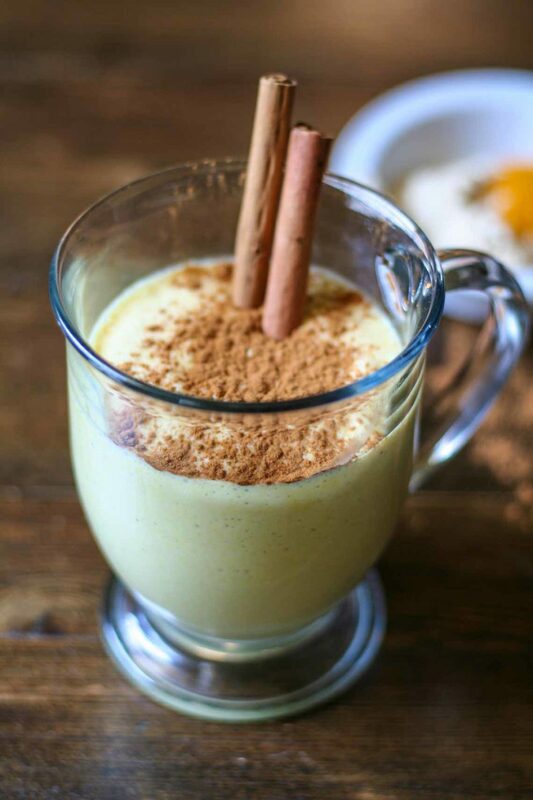 Pour into a glass and sprinkle cinnamon on top. I love your site design and your beautiful images. I am a food lover and enjoy cooking and baking on the weekend when time allows me to make cakes. This is a lovely quick recipe, thank you for sharing it with us. I make home made treats for my friends too. Yum! This version looks amazing…Will definitely give it a shot as the weather’s getting cooler!